thenewno2 have announced that their second full-length album, thefearofmissingout, will be released on July 31 via H.O.T. Recods Ltd. The album was produced by band members Dhani Harrison and Paul Hicks under the moniker pHd. 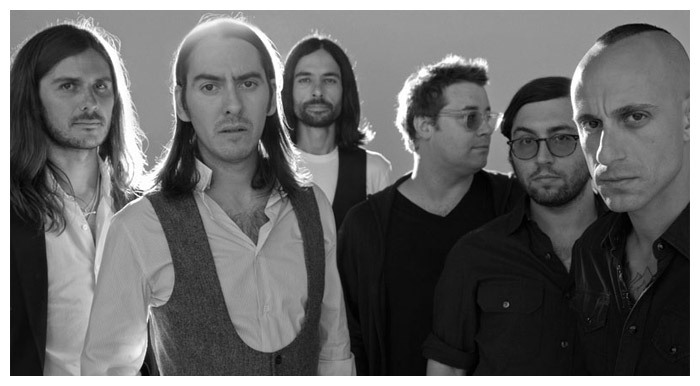 Following their debut album You Are Here (2009), primarily written and recorded by Harrison, thefearofmissingout is the first recording as a band featuring Harrison, Hicks, Jonathan Sadoff, Jeremy Faccone, Nick Fyffe and Frank Zummo. Employing a combination of live and programmed instruments and adding in obscure samples to create an intricate collage of electronica sounds, the sonic textures in thefearofmissingout were enhanced by Harrison as well as guest vocalists RZA, Ben Harper, The Black Knights, Throunn Antonia (Fields, Beck's Record Club) and Holly Marilyn (The Child). The fear of missing out is the title and driving concept behind the album. To Harrison, everything in life boils down to FOMO. "Everyone suffers from it in a different way," he says. "We all have a fear of missing out on something." The result is an album with a multitude of themes, including avoiding change and of course fear. Combining their inventive sounds with creative visuals, thenewno2 recruited notable London street artist Ben Eine to design the album art for the new project.